Published by: Gametek, 1988 | Developed by: Rare, Ltd.
A version for the Nintendo Entertainment System first appeared in 1987. The game supports up to three players, but does not support the NES Four Score accessory. Three modes of difficulty are available: Easy, Normal, and Hard, with the amount of time allotted to give the correct question decreasing as the difficulty increases. 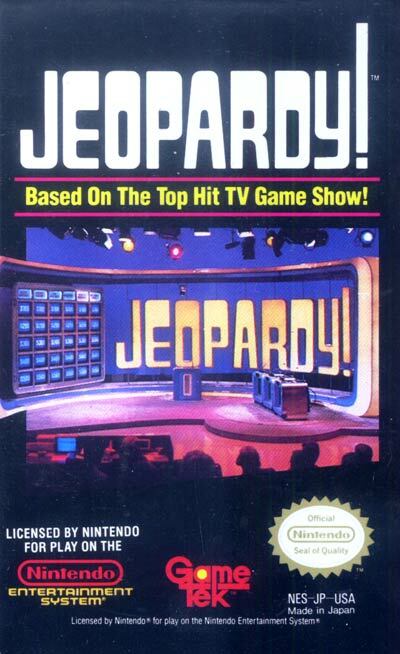 Because of the time period in which the game was released, the "answers" deal mostly with events of the 1980s, and categories deal mostly with issues in the United States.